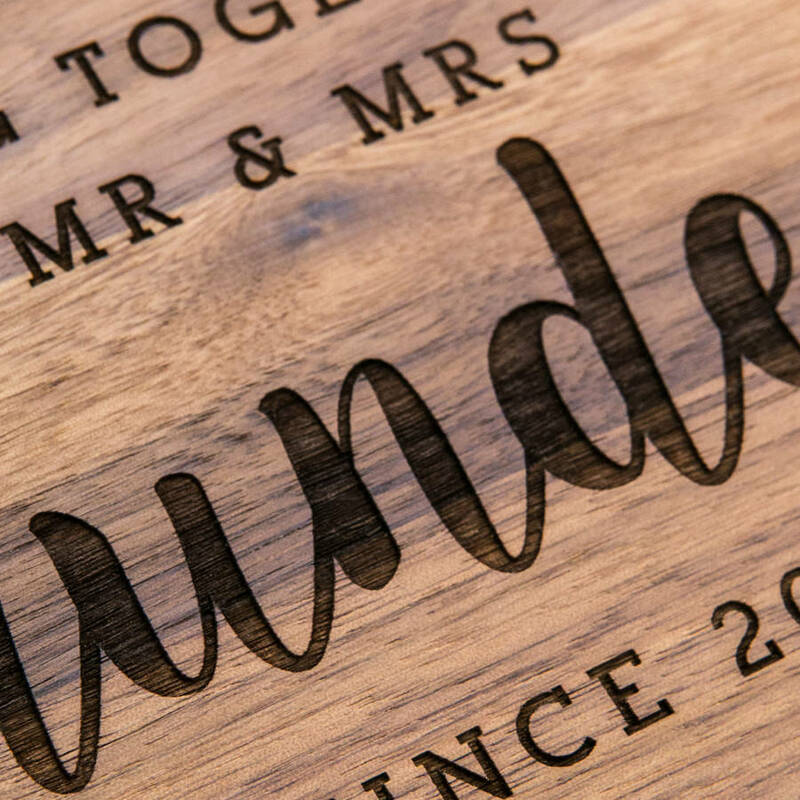 A beautifully personalised wooden chopping board available in solid Oak or Walnut, engraved with any details to create a unique valentines day or wedding gift! A great wedding anniversary gift for your husband or wife. 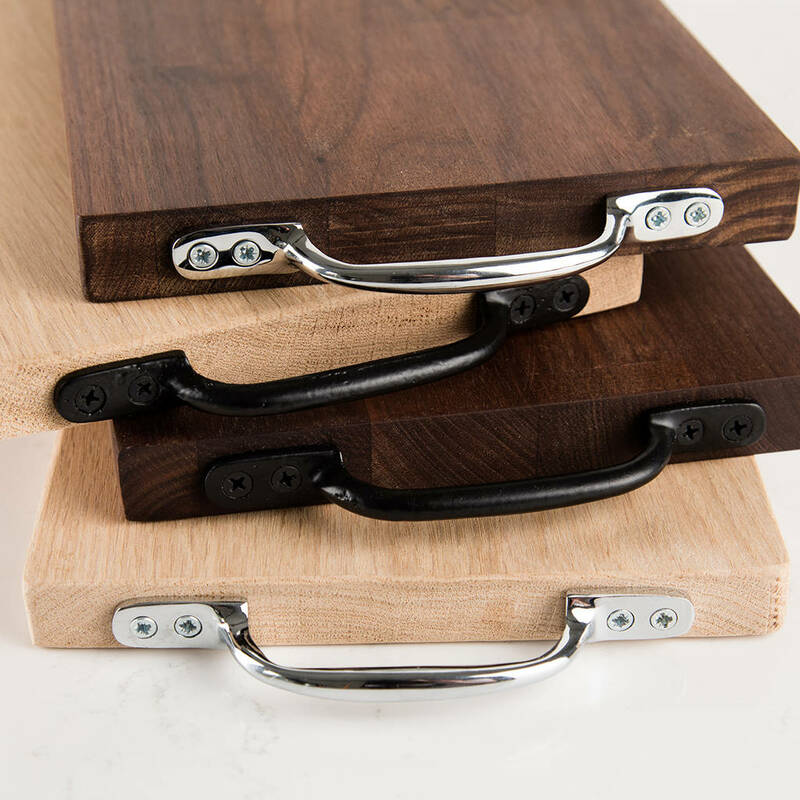 This fully personalised chopping board, in either oak or walnut wood and a choice of handle options, is made for you with precision and care. Create a thoughtful gift that will look stunning on display in any home. Perfect for adorning the dining table or mantelpiece of your new home together, or as a personalised engagement or valentines day gift for your partner. 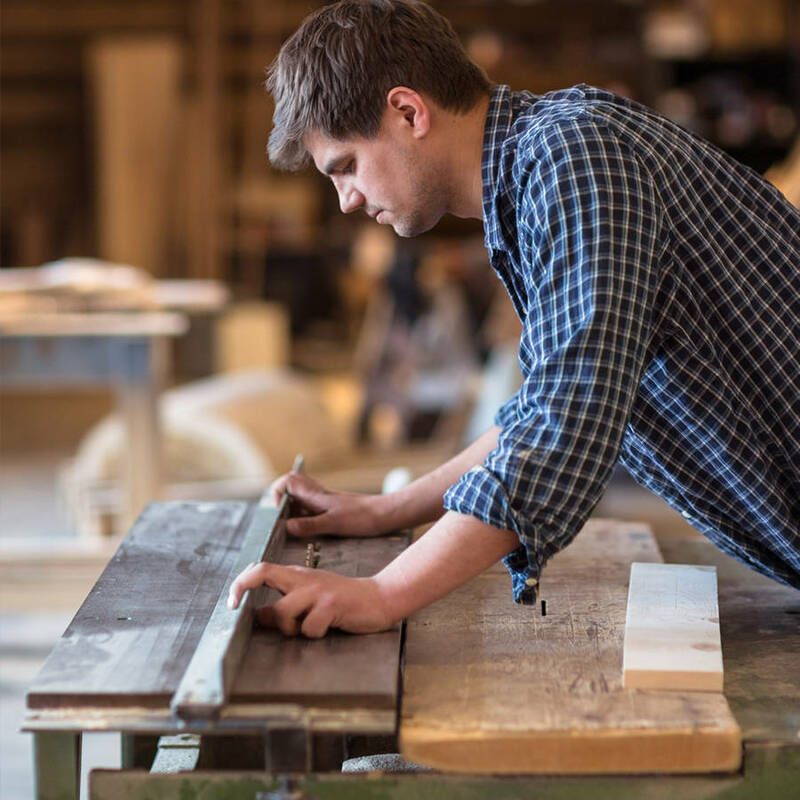 Simply provide us with the details you would like engraved to each line (use our suggestions or get creative) and we will create your bespoke board by precisely engraving their details into the wood. 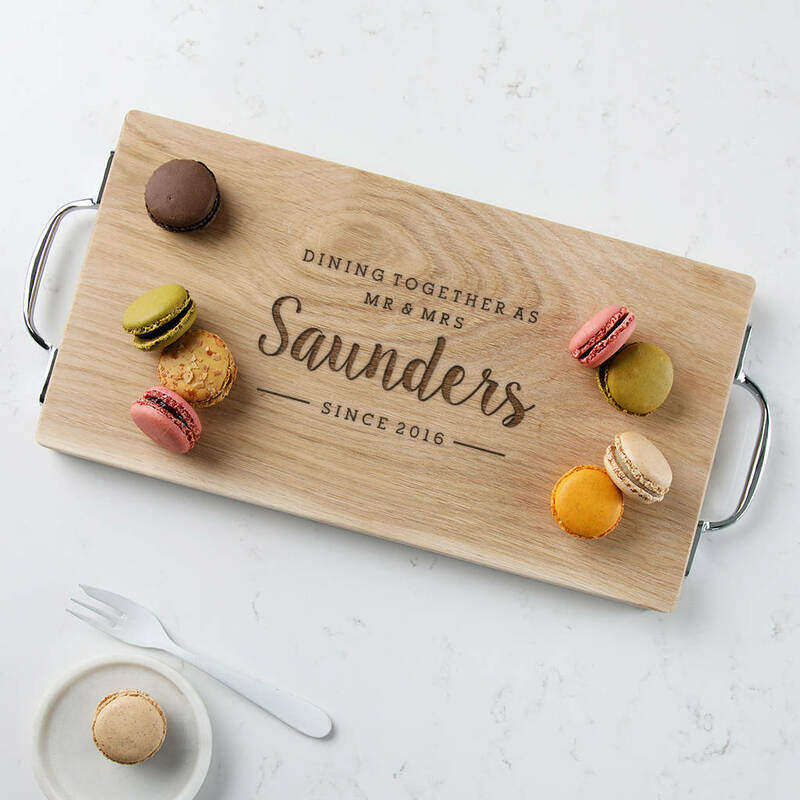 This personalised wedding gift is available as either a plain rustic block or with a choice of elegant chrome or cast iron handles, and will make the perfect table centerpiece during a wine and cheese night, when filled with his and her favourite snacks and nibbles! Your text of choice will be set out in the case as per the image example, for any changes to letter case please get in touch. Walnut 47cm (incl. handles) / 40cm (without handles), width 20cm, depth 3cm. Oak 44cm (incl. handles) / 38cm (without handles), width 20cm, depth 3cm.